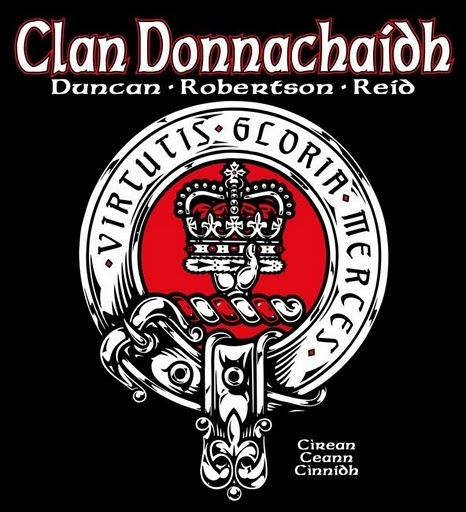 Why not join the Mid-Atlantic Branch of the Clan Donnachaidh Society? You will be made very welcome in our Family. Current Membership Fees are $20 per year for the Mid-Atlantic Branch and $25 per year for the International Clan Society. Please use the forms below for Membership Application & Renewals please. The details on where to send the forms are contained in the form. New t-shirts will be available at the Games during the second half of the Games season. These are "throwback" shirts - identical to the black t-shirts that we had many years ago that were very popular. They are available in Small, Medium, Large, and Extra-Large. Prices will remain at a low $15.00 per t-shirt.